When I Say Gardens, You Say Party! 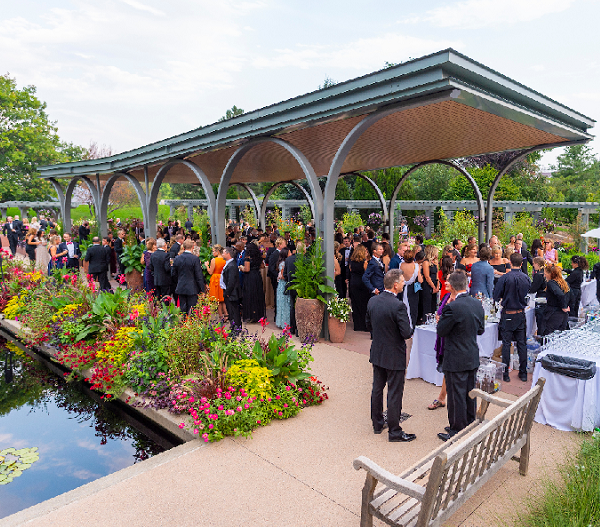 The time for planning your next major event is now – don’t waste your time looking at classic board rooms or traditional ballrooms when you could instead immerse your guests in the stunning surroundings of Denver Botanic Gardens at York Street! No matter what kind of event you are hosting, our Private Events team will work with you to find the perfect setting for your group. With over a dozen unique rentable spaces that can accommodate guest lists large and small, the Gardens offers a variety of indoor and outdoor venues at every time of year. Treat your guests to a once-in-a-lifetime experience they won’t soon forget by booking at Denver Botanic Gardens. 2019 dates are on sale now, and our 2020 rental calendar opens on Jan. 4. Popular dates and venues sell quickly – so don’t delay! We’d love to provide the setting that will turn your dream event into a reality. To learn more and to set up a tour appointment, contact us at private.events@botanicgardens.org or call 720-865-3551.